Dallas Business Club members are invited to join the MIT DFW alumni club at the Dallas Stars game on October 14th. 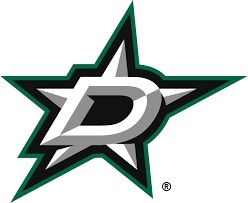 Jason Farris, Dallas Stars COO & CFO and MIT Sloan alum 94’ will welcome everyone and provide an overview of the Dallas Stars, his role in the organization, his prior experience and the NHL. Register HERE. Once you enter the building please proceed to the SE Platinum elevators near section 122 on the Plaza concourse. Elevators are in the rotunda near the Old No. 7 Club. Take elevator to Admiral Level and follow sign to Admiral Meeting Room. 7:00 pm—Dallas Stars vs Colorado Avalanche game! Tunnel Visits will take place during 1st & 2nd intermission. Details to come. Questions/Feedback please contact Damian Fernandez at fernandezlamela@sloan.mit.edu.